54937 people died In Scotland in 2012. Here’s how. The recent publication of the Ontario experience in the introduction of Surgical Safety Checklists has caused a bit of a stooshie. 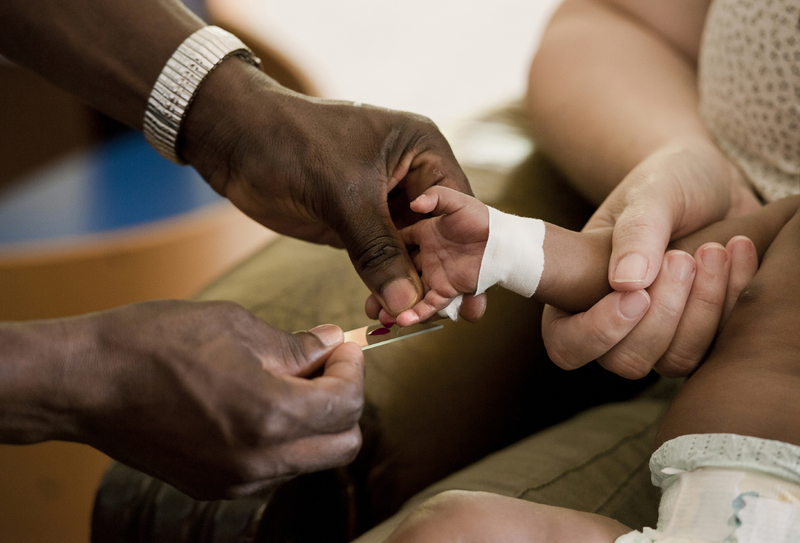 Checklists have consistently been shown to be associated with a reduction in death and complications following surgery. Since the publication of Atul Gawande’s seminal paper in 2009, checklists have been successfully introduced in a number of countries including Scotland. David Urbach and Nancy Baxter’s New England Journal of Medicine publication stands apart: the checklist made no difference. Atul Gawande himself responded quickly asking two important questions. Firstly, were there sufficient patients included in the study to show a difference? Secondly, was the implementation robust and was the programme in place for long enough to expect a difference be seen. He and others have reported the power of the study to be low – about 40% – meaning that were the study to be repeated multiple times and a true difference in mortality actually did exist, the chance of detecting it would be 40%. But power calculations performed after the event (post hoc) are completely meaningless – when no effect is seen in a study, the power is low by definition (mathsy explanation here). There is no protocol provided with the Ontario study, so it is not clear if an estimate of the required sample size had been performed. Were it done, it may have gone something like this. The risk of death in the Ontario population is 0.71%. This could have been determined from the same administrative dataset that the study used. Say we expect a similar reduction in death following checklist introduction as Gawande showed in 2009, 1.5% to 0.8%. 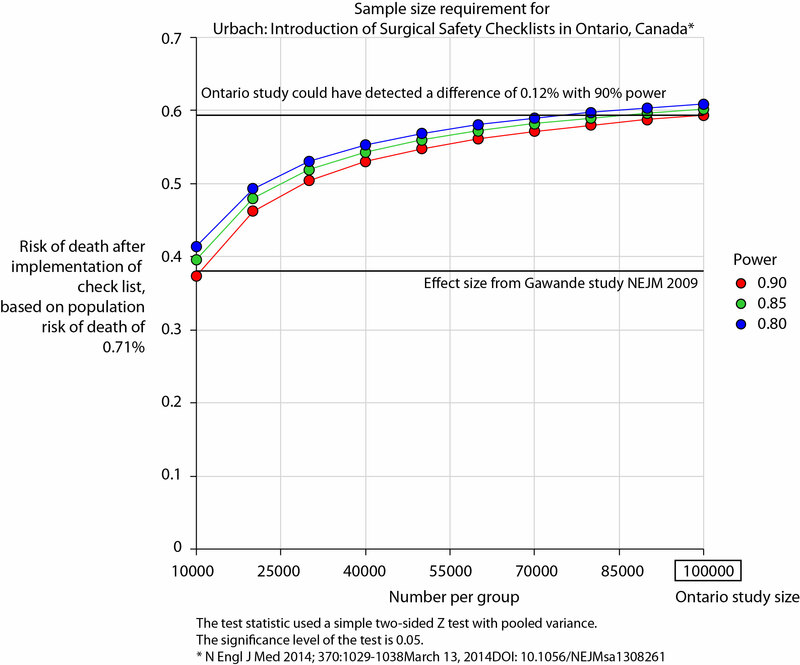 For the Ontario population, this would be equivalent to an expected risk of death of 0.38%. This may or may not be reasonable. It is not clear that the “checklist effect” is the same across patients or procedures of different risks. Accepting this assumption for now, the study would have only required around 8000 patients per group to show a significant difference. The study actually included over 100000 patients per group. In fact, it was powered to show very small differences in the risk of death – a reduction of around 0.1% would probably have been detected. Similar conclusions can be drawn for complication rate. Gawande showed a reduction from 11% to 7%, equivalent in Ontario to a reduction from 3.86% to 2.46%. The Ontario study was likely to show a reduction to 3.59% (at 90% power). The explanation for the failure to show a difference does not lie in the numbers. Quality improvement interventions need sufficient time for introduction. In this study, only a minimum of 3 months was allowed which seems crazily short. Teams need to want to do it. In my own hospital there was a lot of grumbling (including from me) before acceptance. When I worked in the Netherlands, SURPASS was introduced. In this particular hospital it was delivered via the electronic patient record. A succession of electronic “baton passes” meant that a patient could not get to the operating theatre without a comprehensive series of checklists being completed. I like this use of technology to deliver safety. With robust implementation, training, and acceptance by staff, maybe the benefits of checklists will also be seen in Ontario. This post comes with some big health warnings. The recent events in Leeds highlight the difficulties faced in judging the results of surgery by individual hospital. A clear requirement is timely access to data in a form easily digestible by the public. Here I’ve scraped the publically available data from the central cardiac audit database (CCAD). All the data are available at the links provided and are as presented this afternoon (06/04/2013). Please read the caveats carefully. 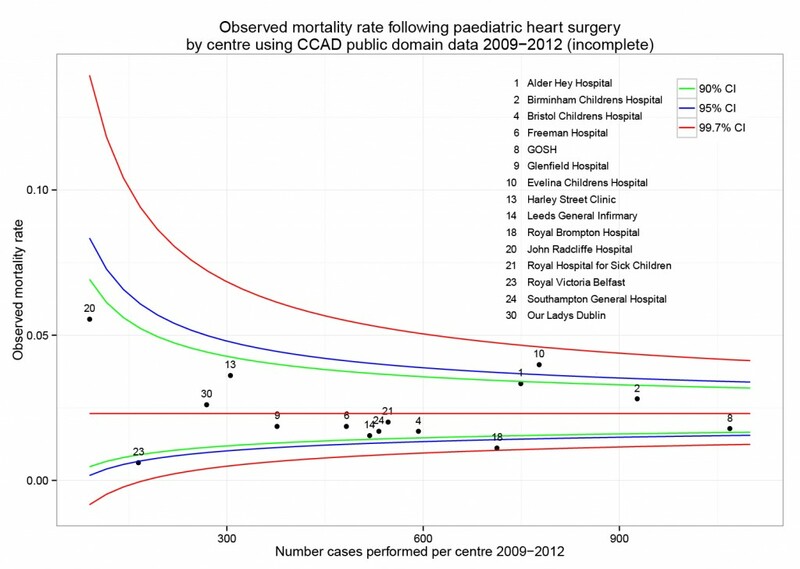 Hospital-specific 30-day mortality data are available for certain paediatric heart surgery procedures for 2009-2012. These data are not complete for 2011-12 and there may be missing data for earlier years. There may be important data for procedures not included here that should be accounted for. There is no case-mix adjustment. All data are included in spreadsheets below as well as the code to run the analysis yourself, to ensure no mistakes have been made. Hopefully these data will be quickly superseded with a quality-assured update. 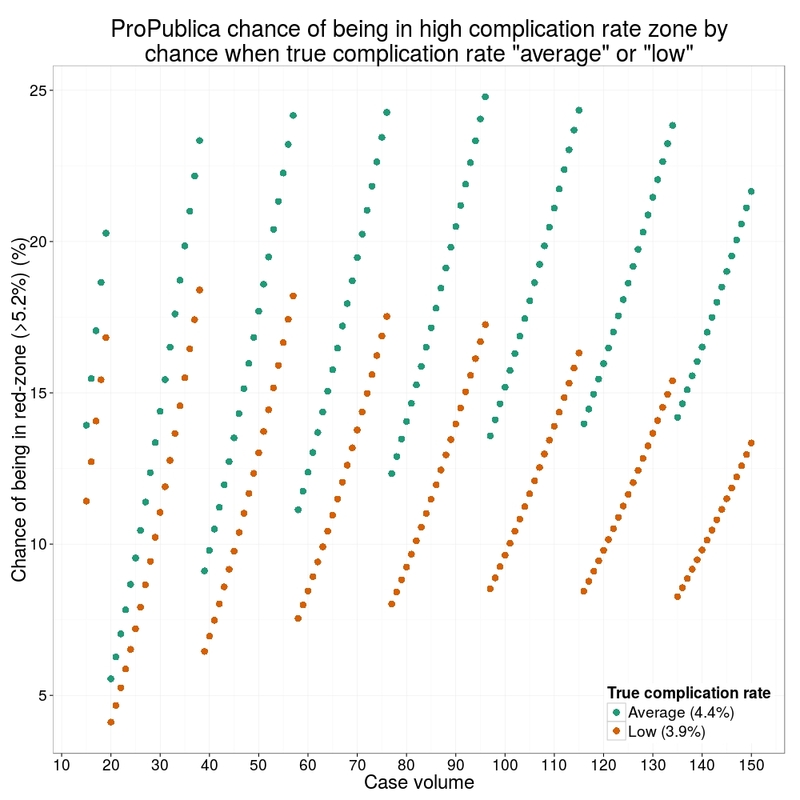 The funnel plot below has been generated by taking all surgical procedures performed from pages such as this and expressing all deaths within 30 days as a proportion of the total procedures performed by hospital. The red horizontal line is the mean mortality rate for these procedures – 2.3%. The green, blue and red curved lines are decreasingly stringent control limits within which unit results may vary by chance. 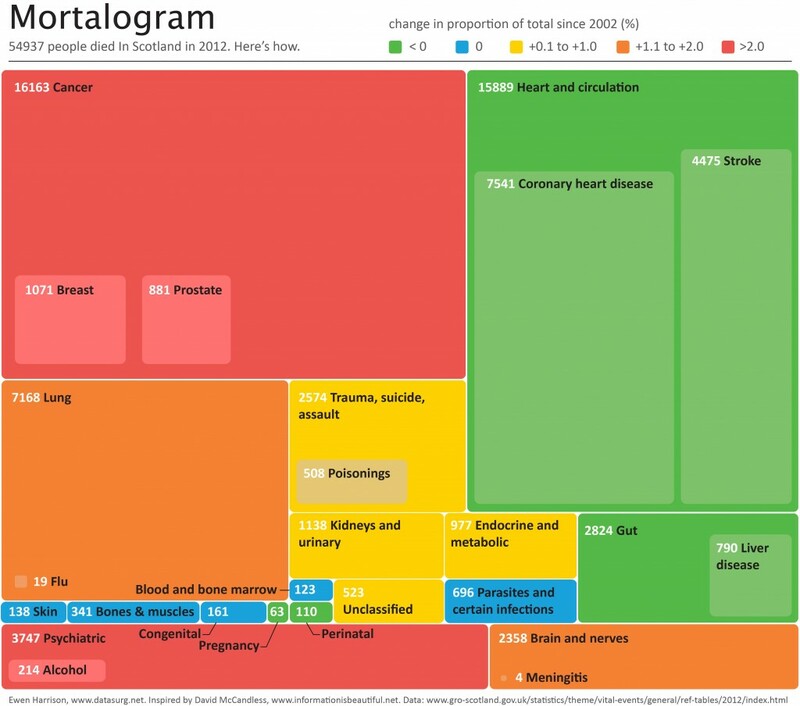 The mortality associated with different procedures can be explored with this google motion chart. Note when a procedure is uncommon (to the left of the chart) the great variation seen year to year. These bouncing balls trace out the limits of a funnel plot. 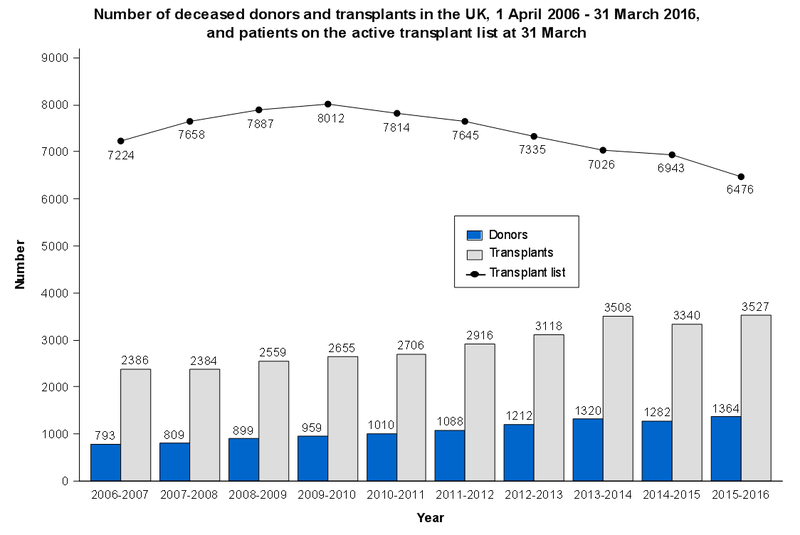 They highlight why year to year differences in mortality rates for rare procedures must be interpreted with caution. # Subset by only procedures termed "Surgery" and remove procedures with no data. I do a fair amount of peer-review for journals. 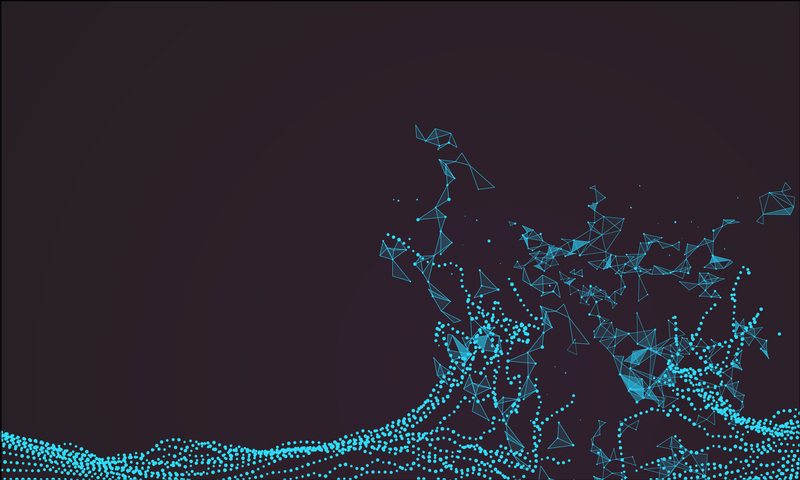 My totally subjective impression – which I can’t back up with figures – is that fundamental errors in data analysis occur on a fairly frequent basis. Opaque descriptions of methods and no access to raw data often makes errors difficult to detect. We’re performing a meta-analysis at the moment. This is a study in which two or more clinical trials of the same treatment are combined. This can be useful when there is uncertainty about the effectiveness of a treatment. Relevent trials are rigorously searched for and the quality assessed. The results of good quality trials are then combined, usually with more weight being given to the more reliable trials. This weight reflects the number of patients in the trial and, for some measures, the variability in the results. This variation is important – trials with low variability are greatly influential in the final results of the meta-analysis. What are we doing the meta-analysis on? We often operate to remove a piece of liver due to cancer. 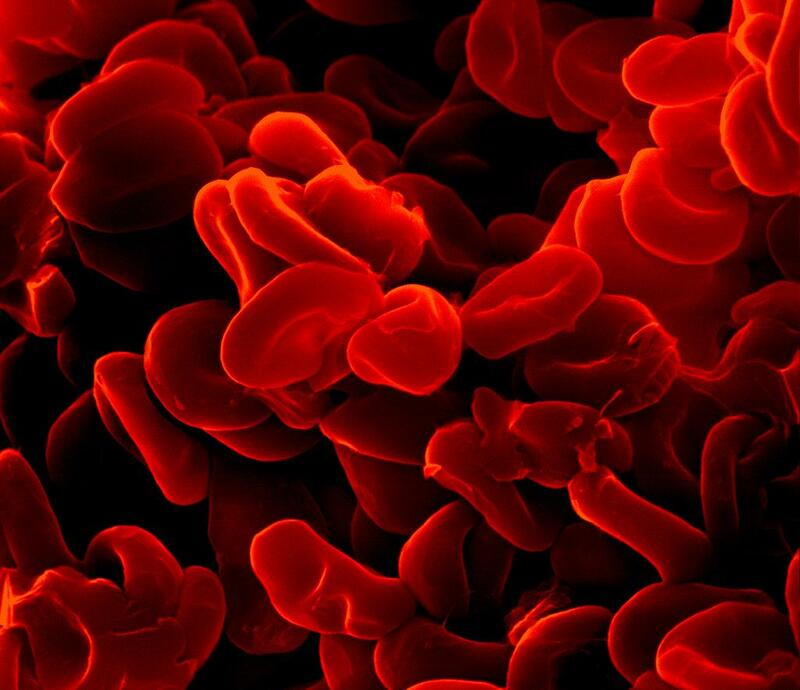 Sometimes we have to clamp the blood supply to the liver to prevent bleeding. An obvious consequence to this is damage to the liver tissue. 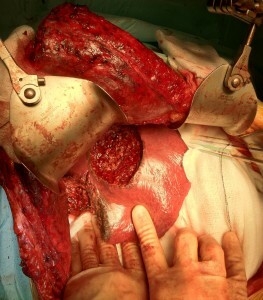 Multiple local liver resections. Patient provided consent for image publication. Results of this technique are controversial – when used in patients some studies show it works, some show no benefit. So should we be using it in our day-to-day practice? We searched for studies examining ischemic preconditioning and found quite a few. One in particularly performed by surgeons in Hungary seemed to show that the technique worked very well (1).The variability in this study was low as well, so it seemed reliable. Actually the variability was very low – lower than all the other trials we found. 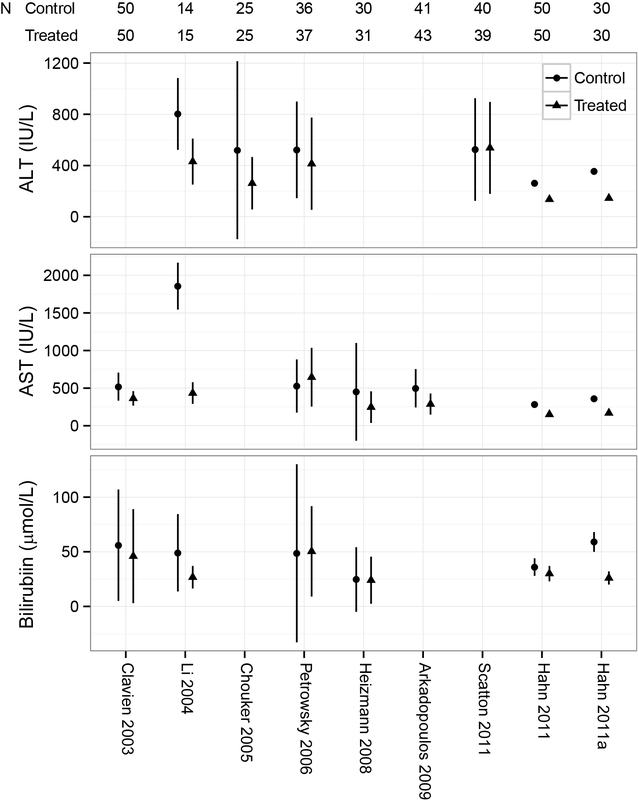 Variation in biochemical outcome measures in studies of ischemic preconditioning. The graph shows 3 of the measures used to determine success of the preconditioning. The first two are enzymes released from damaged liver cells and the third, bilirubin, is processed by the liver. All the studies show some lowering of these measures signifying potential improvement with the treatment. 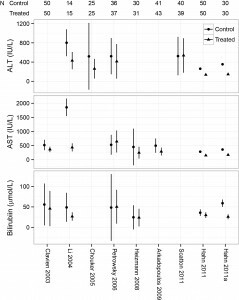 But most trials show a lot of variation between different patients (the vertical lines). Except a Hungarian study, which shows almost no variation. Even compared with a study in which these tests were repeated between healthy individuals in the US (9), the variation was low. That seemed strange. Surely the day-to-day variation in your or my liver tests should be lower than those of a group of patients undergoing surgery? It may be that the authors wrote that they used one measure of variation when they actually used another (standard error of the mean vs. standard deviation). This could be a simple mistake, the details are here. But we don’t know. We wrote three times, but they didn’t get back to us. We asked the journal and they are looking into it. 1 Hahn O, Blázovics A, Váli L, et al. The effect of ischemic preconditioning on redox status during liver resections-randomized controlled trial. Journal of Surgical Oncology 2011;104:647–53. 2 Clavien P-A, Selzner M, Rüdiger HA, et al. A Prospective Randomized Study in 100 Consecutive Patients Undergoing Major Liver Resection With Versus Without Ischemic Preconditioning. Annals of Surgery 2003;238:843–52. 3 Li S-Q, Liang L-J, Huang J-F, et al. Ischemic preconditioning protects liver from hepatectomy under hepatic inflow occlusion for hepatocellular carcinoma patients with cirrhosis. World J Gastroenterol 2004;10:2580–4. 4 Choukèr A, Martignoni A, Schauer R, et al. Beneficial effects of ischemic preconditioning in patients undergoing hepatectomy: the role of neutrophils. Arch Surg 2005;140:129–36. 5 Petrowsky H, McCormack L, Trujillo M, et al. A Prospective, Randomized, Controlled Trial Comparing Intermittent Portal Triad Clamping Versus Ischemic Preconditioning With Continuous Clamping for Major Liver Resection. Annals of Surgery 2006;244:921–30. 6 Heizmann O, Loehe F, Volk A, et al. Ischemic preconditioning improves postoperative outcome after liver resections: a randomized controlled study. European journal of medical research 2008;13:79. 7 Arkadopoulos N, Kostopanagiotou G, Theodoraki K, et al. Ischemic Preconditioning Confers Antiapoptotic Protection During Major Hepatectomies Performed Under Combined Inflow and Outflow Exclusion of the Liver. A Randomized Clinical Trial. World J Surg 2009;33:1909–15. 8 Scatton O, Zalinski S, Jegou D, et al. Randomized clinical trial of ischaemic preconditioning in major liver resection with intermittent Pringle manoeuvre. Br J Surg 2011;98:1236–43. 9 Lazo M, Selvin E, Clark JM. Brief communication: clinical implications of short-term variability in liver function test results. Ann Intern Med 2008;148:348–52. Childrens’ heart surgery in Leeds has been suspended. Concerns about an excess in mortality have been raised and denied and I have written about seemingly large variations in mortality (“twice the national average”) being explained by chance. In June 1998, the then Secretary of State for Health announced the establishment of an inquiry into the management of the care of children receiving complex cardiac surgery at Bristol Royal Infirmary between 1984 and 1995. The inquiry identified failures that contributed to the death children undergoing heart surgery and the 529-page report was a blueprint for wider reform of the NHS. 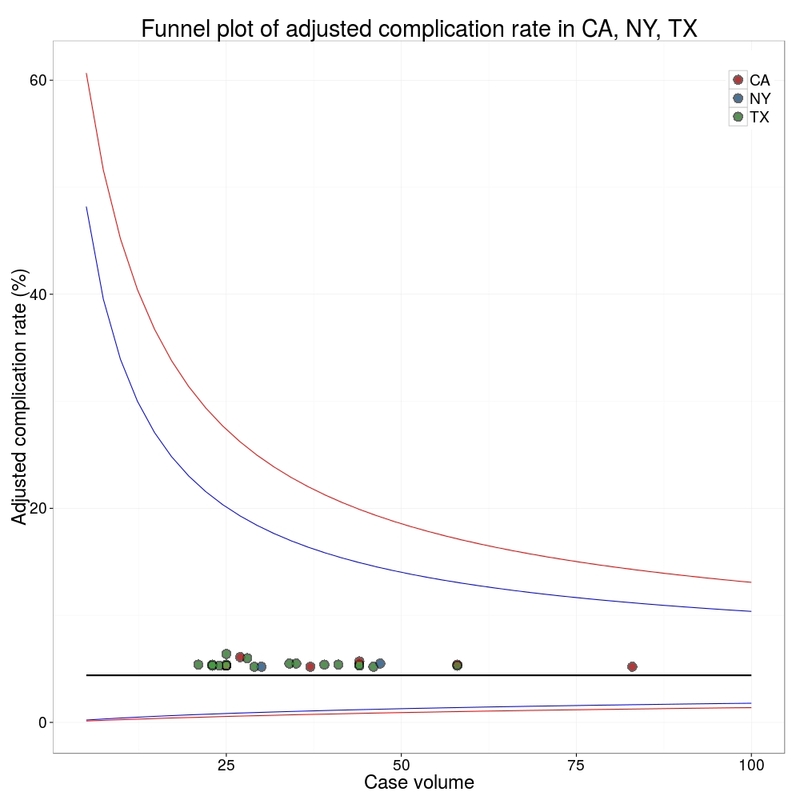 Funnel plots are useful for comparing the results of surgery between hospitals. 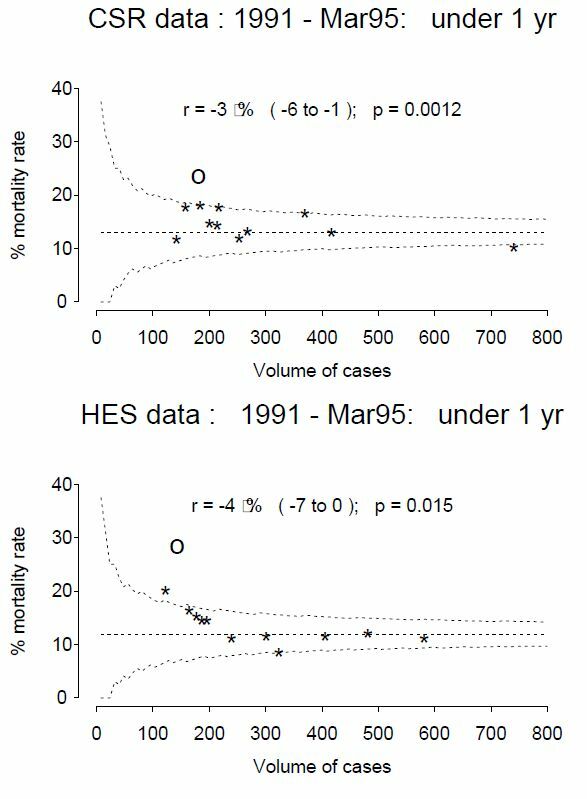 The funnel plots below are from here and are for open cardiac surgery in children under one year in the UK 1991-1995. The Cardiac Surgery Registry (CSR) and Hospital episode statistics (HES) data were used to compare institutions. The horizontal dotted line is the national average and curved dotted line the limit of variation which might be expected by chance (95% confidence interval). The “O” is Bristol Royal Infirmary and “*” the eleven other UK centres. Bristol, as became apparent, was a clear outlier. How should we deal with outliers? The question is pertinent given the recent suspension of Leeds Royal Infirmary from performing children’s cardiac surgery. The UK Department of Health has produced guidelines in 2011 on the recommended process should a unit hit the dotted line, summarised below. The Lead Clinician in the hospital is informed about the potential outlier status and requested to identify any data errors or justifiable explanations. All relevant data and analyses should be made available to the Lead Clinician. A copy of the request should also be sent to the Clinical Governance Lead of the hospital. Lead Clinician to provide written response to national clinical audit team. Lead Clinician notified in writing. Contact Lead Clinician by telephone, prior to written confirmation of potential outlier status; copied to clinical governance lead, medical director and chief executive. All relevant data and statistical analyses, including previous response from the lead clinician, made available to the medical director and chief executive. Chief executive advised to inform relevant bodies about the concerns: primary care trusts, Strategic Health Authority, professional society/association, and Care Quality Commission. Informed that the audit body will proceed to publishing information of comparative performance that will identify providers. Chief executive acknowledgement of receipt of the letter. Public disclosure of comparative information that identifies providers (eg annual report of NCA). It appears that in Leeds the process is at stage 2 – the local doctors have just been informed. The guidance suggests the identity of the statistical outliers should be anonymous at this stage. It may be that concerns were so great that special circumstances dictated the dramatic public announcement. We should find out in the next few weeks.